Gore Vidal, in his memoir Palimpsest, ( a palimpsest is a manuscript page from a scroll or book that has been scraped off and used again) notes the difference separating memoir from autobiography. "A memoir is how one remembers one's own life, while an autobiography is history, requiring research, dates, facts double-checked," Vidal writes. As we have talked about in the Circle, memoir shows what we have gleaned from one section of our lives, rather than commentating on the outcome of our lives as a whole. We write in memoir about some "battle" we have enjoined; one that teaches and offers larger meaning without the power to defeat. We write about loss and grief. We write about how we deal with and conquer illness and addiction. We write about those who sabotaged us before we had the tools or the wisdom to fight back. 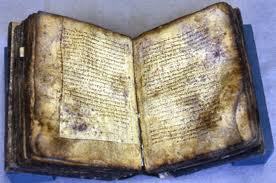 Most palimpsests were written on parchment, which is prepared from animal hides and more durable than paper or papyrus. Like a palimpsest, our story offers the lasting truth of memory - then it can be scraped clean and used to write yet again.